Learning has evolved beyond 4 walls of the classroom and the traditional methods of teaching. Especially when it comes to Digital Marketing; leaving aside the hands-on training experience, modules cannot be taught from a textbook. Also, it is very important to understand who you are learning it from. That’s where an innovative program like The Digital Brunch comes into picture to make learning fun. 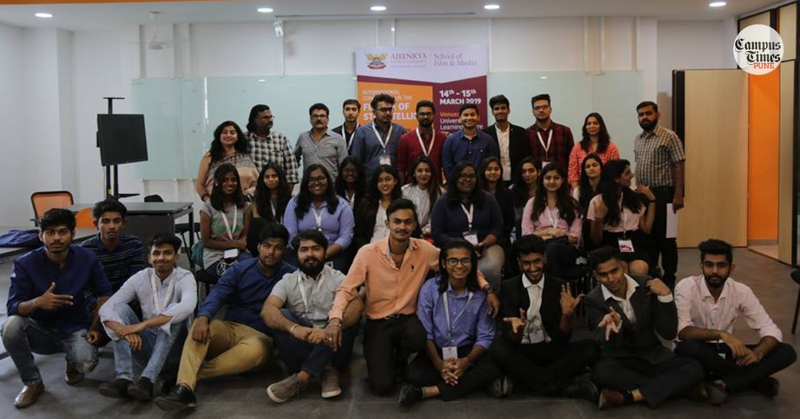 The 1-month, weekend-only course – it covers 16 modules of Digital Marketing which is curated by the best professionals from the Digital Marketing industry in India. After successfully executing the batches in Mumbai, they are starting their batch in Pune this December and yes, the admissions are open! Learning is all about sharing knowledge, engaging with each other and moving beyond classrooms. At ‘The Digital Brunch’, you learn Digital Marketing in an informal networking atmosphere (in a cafe setup) and interact, network and brunch with your faculty members. Digital Marketing is evolving constantly on a weekly basis. Social Media platforms are announcing new features every week. In such a scenario, pursuing a short-term course keeps your learning dynamic. The Digital Brunch has faculty members who are CEOs, Founders and top management professionals from the best companies in India – Like Google India, MTV, Asian Paints, Lowe Lintas, Leo Burnett, Cogmat Advertising, Group M, Ethinos Advertising and so on… so you aren’t learning from teachers and trainers but learning it directly from the industry mavens who have worked and built their career from scratch in the field. Sending friend request to people and booking an appointment to meet CEOs, Founders and top-level professionals from the industry is one thing and on the other hand is networking and personally knowing them during the course. At ‘The Digital Brunch’, your faculty members are just an email or call away for all your professional and career-oriented needs after the course. Learn from the best and move on to make a career with the best companies in India. At ‘The Digital Brunch’, you can get 100% placement assistance* with the 20 plus companies associated with them as Placement Partners in Pune and Mumbai. While ‘The Digital Brunch’ is only a one-month course, it gives you the flexibility to pay over 3 or 6 months EMI. Quality learning made easy and affordable. Hear it from the Mumbai batch.. If you are still wondering why you should be a part of this program, here is what students, professionals and entrepreneurs who have completed the course have to say about the program. So, what are you waiting for? Get in touch with their team or the CEO himself – Dakshin Adyanthaya at +91-9619682998, for a one-on-one interaction and guidance today. Don’t forget to sign-up for ‘The Digital Brunch’ – Pune edition, starting 2nd December, 2017. Get a special group discount of INR 8,000 (min 3 friends join together) with Campus Times Pune. Mention Code CTTDB on your Application Form. Don’t forget to share this amazing opportunity with your network. Join Campus Times Pune on Facebook, Google+ & Twitter. Also do subscribe our YouTube Channel. Click on Push Notifications to get notified whenever we publish a post.